“If we want to build new forms of knowledge and new forms of creating knowledge, we have to work hard on the arena of language“, as our comrades of the Carabancheleando collective write, to present their new Diccionario de las periferias (Traficantes de Sueños, 2017, here their webpage). One of the contested words to which we have to pay attention is precisely “neighborhood”. The neighborhood is the physical and sentimental structure that defines our belonging to the world. It is the place where we learn to become somebody outside the family, to relate with the complexity of reality, to escape our comfort zone of our own private spaces, and to step into the radical uncertainty of public space, of the city, of the urban. Somebody idealizes it or claim it as a homeland, as the only territorial unity to which one belongs without doubt; others see it as a starting point from which to claim other belongings, of a higher level: to a country, to a people, to a social class, to a collective history. 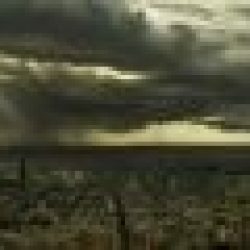 But the neighborhood is most of all the place where all these conflicting interpretations come together, negociate, discuss, hug, quarrel – or maybe drink and have fun together even without necessarily understanding each other. 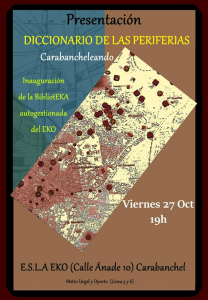 Friday October 27th, 6 pm, presentation of the dictionary in the BibliotEKA of ESLA EKO in Carabanchel, Madrid! 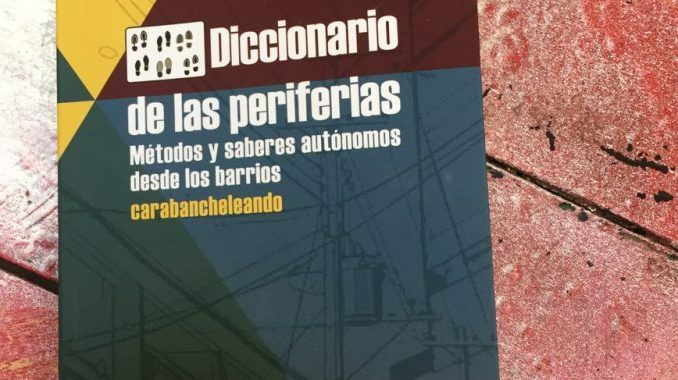 Carabancheleando, Diccionario de las periferias: métodos y saberes autónomos desde los barrios, Traficantes de sueños, 2017: download or buy for 10 euros here. 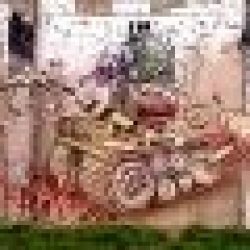 Here is Carabancheleando‘s webpage.